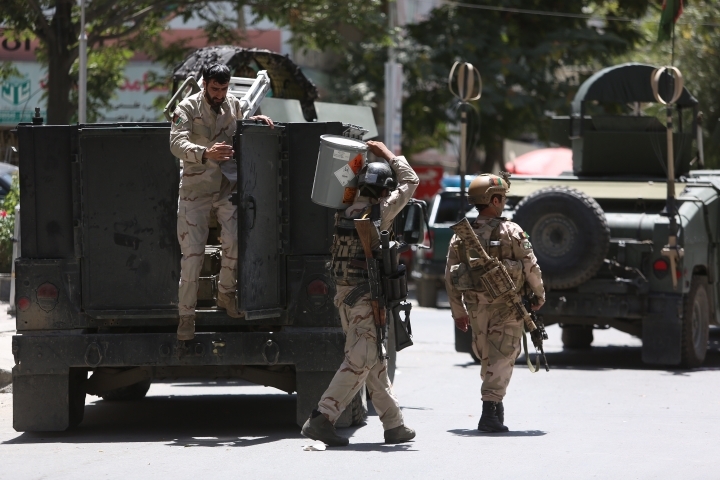 Afghanistan's Interior Ministry spokesman Najib Danish has said that two Afghan employees died in an attack on the Iraq Embassy. Three police were injured, he said. The attack began shortly before noon on Monday, after a suicide bomber blew himself up outside the embassy gates. Another three attackers stormed inside the building from where they battled Afghan security forces. The Afghan Interior Ministry says a four-hour-long attack on the Iraq Embassy in Kabul is over. The Interior Ministry spokesman Najib Danish says all the attackers were all eventually killed. The ministry has not released official casualty figures but condemned the attack as "un-Islamic and inhuman." Danish also says the embassy building suffered extensive damage with windows broken, and several rooms badly burned. The Afghan Interior Ministry says a suicide bomber started the attack on the Iraqi Embassy in Kabul. 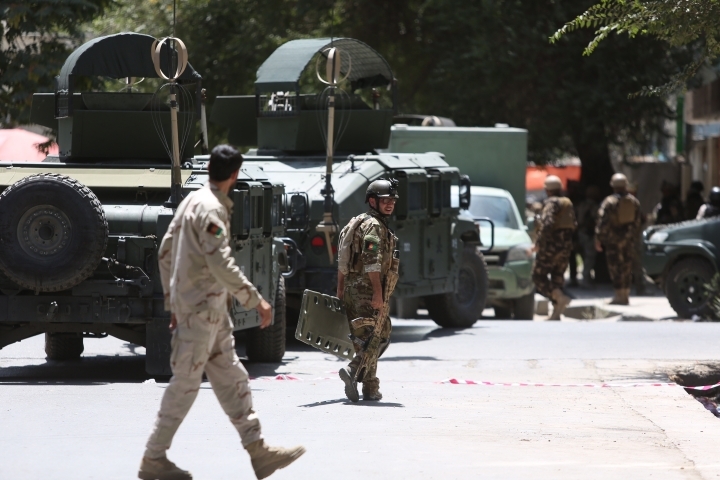 A ministry statement says the attacker blew himself up at the gate of the embassy on Monday, followed by three other attackers who stormed into the compound in the Afghan capital. The ministry condemned the attack as "un-Islamic and inhuman." Shortly after the attack began, an Islamic State affiliate in Afghanistan said it was behind the assault. 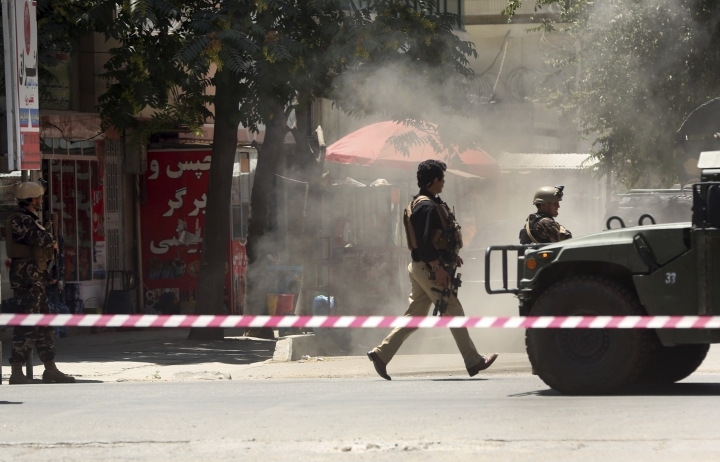 Earlier, Afghan officials said a car bomb had started the assault. The ministry also says that Afghan security forces rescued all the embassy diplomats and employees and took them to safety. It says security forces were still trying to ferret out the remaining attackers. A media outlet linked to the Islamic State group says two IS militants were behind the attack on the Iraqi Embassy in the Afghan capital. The Aamaq news agency says the two stormed the embassy in Kabul, allegedly killing seven guards before using stick bombs to detonate the gate. Aamaq gave no further details about Monday's attack. IS and other militant groups often exaggerate their claims of casualties inflicted in attacks. Afghan officials have reported no casualty numbers as yet. The attack on the Iraqi embassy came weeks after Iraqi forces captured the northern city of Mosul, the largest city to be ever controlled by IS extremists. The group has also been suffering major losses in Syria and Iraq as their self-declared caliphate has been shrinking. IS has claimed responsibility for deadly attacks around the world, including some in Afghanistan that claimed the lives of scores of people. Afghan police say a car bombing has targeted the Iraqi Embassy in central Kabul, followed by gunfire, and that the attack is still underway. There were no immediate reports of casualties. 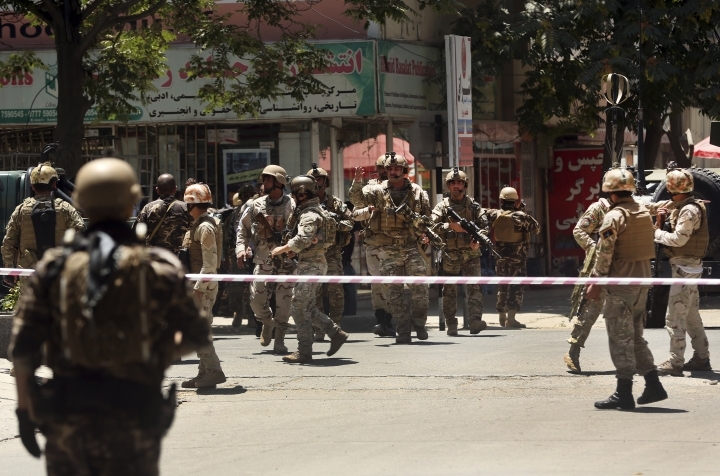 Two police officials say the car bomb exploded outside the embassy, followed by an attempt by gunmen to enter the building, which is located in the center of the Afghan capital. The firefight is continuing as witnesses in the area reported hearing gunshots. The two Interior Ministry officials spoke on condition of anonymity because they are not authorized to speak to the media. No one has taken responsibility for the attack, though both the Taliban and an Islamic State affiliate have previously carried out such attacks in Kabul.